Did you know only about 30% of homes find their forever friend through shelters and rescues? Let's work to raise that number! If you are a shelter or rescue group in the Pittsburgh area or western Pennsylvania, I'd love to talk with you to see how I can help as an artist member with HeARTs Speak, "a global community of photographers, writers, graphic designers, sculptors, painters, illustrators, shelter staff, rescue volunteers, and animal advocates working together to ensure that no shelter animal goes unseen." 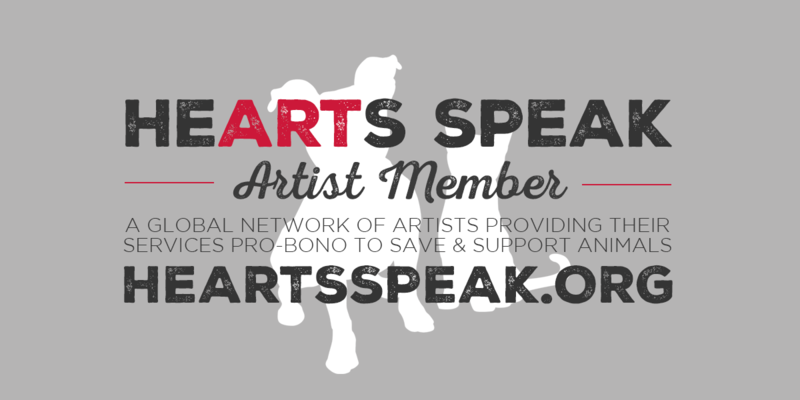 As a part of the more than 600 HeARTs Speak members and artists worldwide, Bark & Gold Photography is proud to donate its time and talent pro bono to western Pennsylvania's animal welfare organizations and shelters with the goal of helping every animal find a forever home through professional pet portraits. Bark & Gold Photography also gives back through its annual pet calendar contest. Since launching this contest three years ago, Pittsburgh pet parents with the help of Bark & Gold Photography have helped raise more than $10,000 for local rescues and animal-related non-profits, all of which directly benefits the animals of these organizations!